Interests - Star Wars, Batman, Indiana Jones, Spiderman, superheroes in general, Lego and playing with little sister Amber. 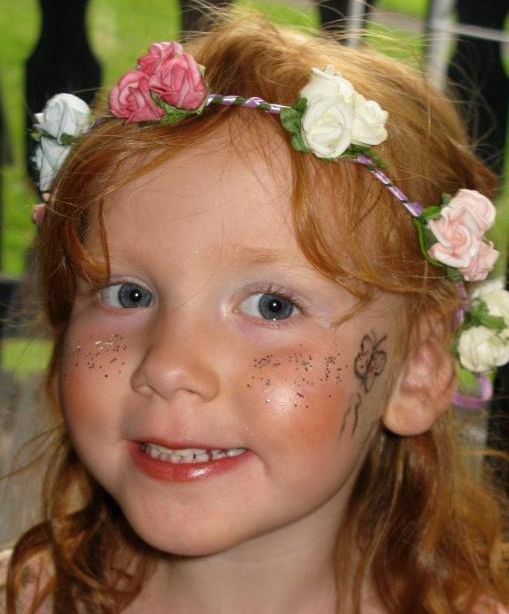 Ashley was diagnosed with stage 4 Neuroblastoma on the 9th June 2008. Ashley had been unwell for a month or so, vomiting with stomach pains, weight loss and tiredness. Ashley visited the GP several times and the out of hour’s doctors, each time being told it was a viral infection. The stomach pain and sickness were replaced with leg pains and being unable to walk. Ashley was finally admitted to the hospital after 16 days of leg pains. Five days later a CT and ultrasound scan confirmed a lump 12cm by 8cm above his left kidney. Ashley is being treated for stage 4 Neuroblastoma at Oxford John Radcliffe Hospital. Ashley has just undergone 7 rounds of intense chemo that are every 10 days and he will then have a bone marrow harvest, an operation to remove the tumour, high dose chemo, radiation and light chemo as maintenance. Ashley is well at present and carries on smiling as always. The next few months will be hard and draining, involving Ashley being in isolation for several weeks at a time, and any kind words are much appreciated. Amber is now moving on from Post Pals. Thank you for all the support you gave to Amber, but especially Ashley. I will always hugely appreciate everything you have done. With many, many thanks, Clair. Yesterday we transferred to the hospice. Ashley had internal bleeding and increasing pain. At 2:10 am, he gained his angel wings. His mum and dad were with him and he is now at peace. It has been a very long week. Ashley completed chemo but the pain has got worse. He has pain in his ribs from the compression of the tumor. He is on morphine, methadone and gabapentin, but is still having painful episodes and when he is not he is very sleepy. We are still trying for radiotherapy but the doctors are not keen and think it would be best to just control his pain. I hope we can get him comfortable and home soon. I have thought many times on how I am going to write this but there is no easy way. Ashley’s scan showed the treatment in Germany has not been as effective as we had hoped and there is no more they can do for him here. We will be returning home on Wednesday evening. Ashley is well in himself. We have been in contact with several professionals in the UK to see if there are any other options. Thank you everyone for your support. The past 2 months have been very difficult and things have very much been a roller coaster. Ashley was very poorly with bone pain to his legs, so Ashley was started on a stronger mix of chemo and this seemed to work for a while relieving the pain. However, by week 6 it had come back and devastatingly his scans also showed Ashley has a new mass back to his original primary site in his stomach and the disease was spreading despite the stronger chemo. We had some very long and difficult chats with Ashley’s consultant but have pushed for more treatment. Ashley had radiotherapy to his left leg to try and relieve some of the pain, which it did, and he started yet another mix of chemo. Unfortunately Ashley was taken ill over the weekend with a serious line infection and blocked bowel. He is in hospital at present and things are improving slowly. Fingers crossed the infection responds to the antibiotics and he doesn’t need a line replacement. After the Russell Howard show, Ashley has had a huge increase in mail and some very nice gifts, Lego sets, hero figures and magazine, books, activity packs. Amber also received some lovely gifts and cards for her 3rd birthday. Thank you so much to everyone that has taken time out of there lives to send Ashley post. It always puts a smile on his face. Ashley woke up a lot happier this morning and is playing with his new Lego city set he got for being so brave yesterday in radiotherapy. His right arm still isn’t quite right but I’m hoping they will start physio on Monday to encourage movement. Hopefully it will be a boring and uneventful weekend in hospital. Well, what can i say, other than that was absolutely traumatic. Ashley woke up in a bad mood, had CT scan and a mask made for radiotherapy and then high dose radiotherapy which he screamed all the way through which was just horrific. Well, in true Ashley style, things have changed again. Our poor consultant – just as she arranges one treatment, something happens and she needs to change it. Last night Ashley developed weakness and loss of sensation in his right arm, Ashley was started on dexamethosone straight away and had hourly neuro obs through the night. Through the day there has been a great improvement and Ashley is using his arm normally again. As Ashley has perked up so much, is no longer in pain, and his temperature has settled, they are now suspecting the infection emphasized the pain, so have changed the plan and don’t feel radiation is needed yet. They are going to start him on a different mix of medium dose chemo in the next couple days. Ashley is better in himself today and back to being a little monkey. We are continuing with antibiotics for the next 3 days. We have been told today that they think Ashley’s disease is spreading at a rapid rate due to him being in pain. We are devastated. The plan now is for Ashley to have radiation to his whole head and shoulders as soon as possible. Then, if he is well enough, 2 rounds of cyclophosphamide and topetecan to see if it has any effect. Ashley has been admitted. He has been started on antibiotics as infection marker is up. He is on Oramoph for pain and has had to have a platelet transfusion as they dropped to 12. The trial will no longer be an option. Ashley had a wonderful birthday; it was such a busy day. Ashley opened all his presents in the morning and then we had a lovely family lunch at TGI Fridays, followed by going to the cinema with his mummy, daddy, and little sister Amber, to see Alvin and the chipmunks 2, then a quick stop home to change into his Jedi costume for his party. All Ashley’s school and special oncology friends came and lots of family. He had a magician and DJ. It was truly a great day. Ashley completed his first round of chemo with minimal side effects and had his hickman line re-fitted on 5th January. Ashley remained well in himself and is even still managing to go to school for the afternoons. Ashley completed his second round of chemo on 22nd January and again remained well through this course, though his blood counts have started to drop now due to the chemo and he will need blood and platelet transfusions this week. Ashley will now undergo a week of testing from the 1st – 4th February to see what effect the chemo is having on the cancer. Thank you to everyone that has sent Ashley and Amber cards, letters, and parcels over December and January. It’s so very kind and at the worst times it has really helped make the kids smile. Ashley’s routine scans sadly showed a shadow on his head and neck and after further testing is it was confirmed Ashley has relapsed. This was a huge shock as Ashley is so well in himself and has no symptoms. However, the actual scan shows a 12mm liaison to the brain and the bone marrow biopsy showed positive involvement, meaning it had come back. We were told this on the 22nd December, and as you can imagine it is not the best news at any time, but right on top of Christmas it has been very hard to keep the happy memento going. Ashley started chemo straight away on the 26th December and he is having this via a cannula. It is Ashley’s 7th birthday on the 30th December and we are having a special day going to the cinema, bowling, then a big party with a magician and disco. Ashley will be having a Hickman line re-fitted on the 5th January. Ashley is well in himself and really wouldn’t know if it wasn’t for the scan. Thank you to all the posties, elves, and reindeers, that sent Ashley and Amber cards, letters and gifts over Christmas. Ashley’s last test results came back clear and he proceeded with another month of cis retinoic acid. Ashley is very well in himself and is enjoying school. We have had a really busy couple of months just doing things as a family and enjoying the good times and chipping away replacing the bad ones. Ashley had his wish granted and we all got to go to Disneyworld in Florida. It was an amazing holiday and we did so much. Ashley got to go the Jedi training academy and fight Darth Vader and we also went to all the Disney parks, universal studios and sea world. On 7th December we have a very hard week of tests and restaging. Ashley will have been in remission for 6 months and it will be an anxious week waiting for results, but we just have to go by Ashley and he is here and well now. Thank you for Ashley and Ambers lovely yummy sweeties and lanterns they received this month. I would also like to thank everyone that has sent Ashley and Amber cards, letters and gifts over the past 18 months; it is forever greatly appreciated and really does put a smile on my kids’ faces. Ashley remains very well and is about to start his 6th round of cis retonic acid. He takes 3 tablets twice a day for 2 weeks then has 2 weeks break. The retonic acid still causes his skin to peel and blister around his mouth, but he doesn’t let it stop him or bother him. It clears quiet quickly when on a break. Ashley has just had his monthly check up and is finally starting to put weight on which is great. We are awaiting test results for the vma urine (an indicator test). We are going to Florida Disney in less than 2 weeks for Ashley’s Make a Wish. We are all very excited and hope to send some postcards to other Pals while there. Ashley still loves receiving post and it really helps put a smile on his face when he’s having a down day. Thank you for both Ashley and Amber’s wish lanterns and Amber’s lovely pink dog. Also, thank you for the postcards and the bed bear card. Ashley is doing very well. He has now completed 2 courses of his retinoic acid. He is coping well with this, though with each cycle has suffered from cracked bleeding lips and peeling of the skin on his face hands and feet. This is meant to ease as the course goes on but he takes it all in his stride and carries on. Ashley had a couple weeks at school, but due to there being lots of cases of chicken pox going around and Ashley’s immunity still low, it was decided it was best for him to be home schooled until the end of term. We hope he will be well enough in September to return fulltime. Ashley is really missing his school friends. We had bit of a scare in July as Ashley developed a limp. Thankfully after a check up at the hospital, it was decided this was just a strain and it did solve itself in a few days. We were very worried and it is a reminder of how quickly things could change. We have just enjoyed a family holiday to Bournemouth which was lovely as it was the first time we have been able to relax and just enjoy life for a long time. We went to the seaside and on lots of days out. We are enjoying the time at home as a family. Ashley has is 3 month check up on 27th August, please wish us luck. Just a quick update to let you know Ashley has now finished radiotherapy and we have had the re-staging test results back and Ashley is clear. There is no detectable evidence of disease and we are very pleased to say he is now classed as being in full remission. In 2 weeks time Ashley will start a 6-9 month course of 13-cis-retinoic acid. This is meant to influence the way in which cells grow and develop, and prevent the production of specific genes that may cause cancer, so it is to aid in preventing relapse. Ashley is now having home tutoring and will start back at school on the 2nd June doing a few afternoons a week and increasing to fulltime when ready. It has been a very long and hard year and thank you again to all the Post Pals for sending well wishes to Ashley. Ashley is doing very well, he is now 60 days plus post high dose chemotherapy and his blood count has stabilized and he is slowly putting weight back on. Ashley has been enjoying time at home with his family and had a fun day out at Legoland for Amber’s 2nd birthday. At present Ashley is day 4 of 14 radiotherapy sessions, he is coping well and just about managing to stay still. Ashley has just had a week long of final testing to determine if he is free of cancer and we are anxiously awaiting the results. If Ashley continues to do well he will be able to back to school in June. This would be the first time in a year and he is very excited about this. Thank you to everyone that has sent post to Ashley and Amber, it really does brighten up their days. 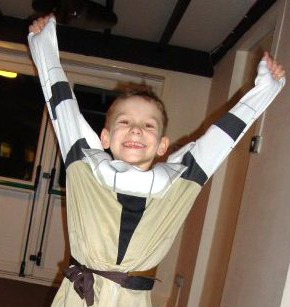 We were very saddened by the passing of fellow Post Pal and Neuroblastoma fighter, Jack Brown. Jack shinned like a star and was loved by many. Our deepest sympathy and prayers to Yvonne, Richard and family. Ashley is now home from hospital. The high chemo went well and somehow Ashley had 17 doses of chemo over 4 days and 3 days of stem cell transplant. He was unwell for several days with developing mucitis (sores of the mouth and digestive tract) and sickness, combined with not eating and a neutrophil count of 0.00. He was put on anti fungal and anti viral drugs, meds to help is digestive problems, tpn for nutritional support, and morphine for the pain. Amazingly, only a week later, he started to feel well again and was eating, so the drugs started to be weaned off, as did the tpn. It got to the point that Ashley was so well he had an accident (bumping his head) when playing with one of the doctors and it was decided it was time for Ashley to go home. Ashley is well and back to his normal bouncy self. We are having twice weekly reviews and he still needs platelet transfusions often. Thank you to everyone that sent cards and parcels to Ashley. Ashley started high dose chemo on the 17th February. He had a total of 17 doses of chemotherapy over 5 days, followed by 3 days of stem cell transplants. Ashley is well in him self at the moment but a little quieter than usual. We have been advised that he is likely to become unwell in the next few days as his blood count is dropping and is appetite is greatly reduced. Unfortunately its a sitting and waiting game of how unwell he will get as there are a number of side effects that could happen, so the next couple weeks are going to be hard. We are hoping and praying these effects will be minimal and that Ashley bounces back quickly as he has always done in the past. Thank you to Kim Bows for the book, Ashley has enjoyed reading it. Thank you to everyone who has sent cards and also for a lovely activity pack. Ashley is in isolation so any cards, activities, etc, will be much appreciated and a welcome distraction. Ashley’s operation went very well, they managed a complete removal of the tumour and Ashley bounced back within a few days. The scar area is still a little tender but doesn’t stop him from diving around being Indiana Jones. Ashley’s other test result came back positive, his bone marrow also remains clear and his kidney function is ok.
Ashley has been enjoying some family time at home and then he will start high dose chemotherapy on 11th February. Unfortunately, this may make him very poorly for a while, but it is essential to make sure the cancer is all gone. We are expecting a 4 – 8 week stay in hospital and this will be on Kamrans ward. Ashley was receiving chemotherapy right up to Christmas Eve, but managed to get home for an exciting family Christmas, with lots and lots of presents and close family. Ashley also celebrated his 6th birthday on the 30th December which again was spent having a small party with close family. January brings a very busy time for Ashley treatment wise. On the 5th – 9th January, he will be undergoing various testing to determine what stage the cancer is at and how it is responding to the treatment (hopefully going). On the 13th January Ashley will be admitted to hospital for a big operation to remove the main tumour in his stomach. A special thank you to a lovely couple who gave Ashley a huge cuddly dog – he sits on Ashley’s bed and he snuggles up with it every night. A very special thanks to Santa’s reindeers and Santa’s helpers too – Ashley and Amber received some lovely gifts through the post over the holiday season which really brightened up their days. Ashley is doing well but unfortunately the recent test results still have not come back clear enough to move onto surgery, so another 2 rounds of chemo are being given. The bone marrow results have now come back clear though, so Ashley is due to have a stem cell harvest on the 1st, 2nd, and 3rd December. We are also going to Disney in Paris on the 7th December. Thank you so much for Ashley’s post, we really appreciate all the letters and cards, it really puts a smile on Ashley’s face. After a meeting with our oncologist we were informed that the 7 rounds of chemo were unfortunately not enough to clear the bone marrow of Neuroblastoma cells and we are unable to proceed with the harvest as planned. We now need to have 2 more rounds of intense chemo, 7 days each round, and then Ashley will undergo more tests to see if the bone marrow is clear for harvest.